The weeping ‘MAGAbomber’ Cesar Sayoc reportedly broke down crying while reading his guilty plea, which could lock him up for life. As he pleads guilty to trying to terrorize Trump critics, he began weeping and shaking inside the NYC federal courtroom. Sayoc is charged with 65 criminal counts stemming from his aborted bombing campaign last year. When he sent pipe bombs to assorted political, financial and media elite late last year, Sayoc delivered what many interpreted as a howl of anger from the underbelly of “MAGA” America. “I mailed them from South Florida to George Soros, Hillary Clinton, John Brennan, Robert De Niro, James Clapper, Barack Obama, Maxine Waters, Eric Holder, Joe Biden, Cory Booker, Kamala Harris, Thomas Steyer, and CNN,” Sayoc was reading a prepared statement about his 2018 packages. He will be sentenced in September. The Florida man accused of sending mail bombs to CNN offices has pleaded guilty to 65 counts. CNN`s Brynn Gingras reports. 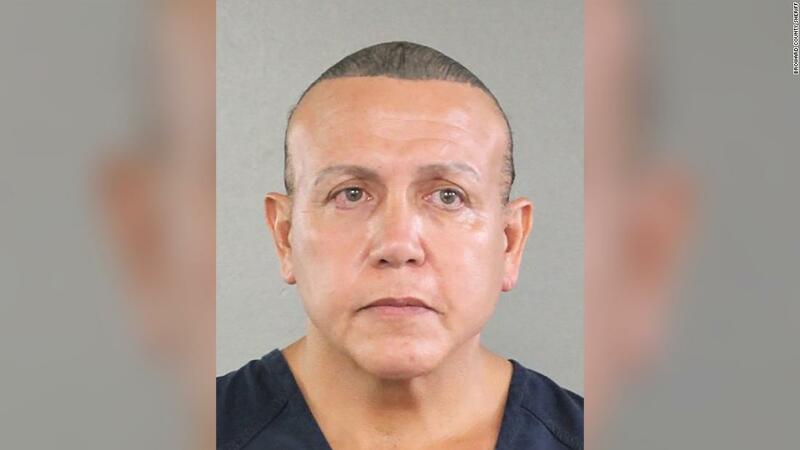 Pipe bomb suspect Cesar SayocÂ tearfully apologized in court and pleaded guilty Thursday in the pipe bomb mailing spree that targeted prominent Democrats and critics of President Donald Trump in late 2018.